Is HVAC Air Duct Cleaning Really Necessary? A popular HVAC "maintenance" item that tends to get a lot of attention is duct cleaning. It seems like a logical maintenance activity, but cleaning the air ducts in your home’s HVAC system may not be as good an idea as it intuitively seems. Let's explore some of the issues. Do ducts get dusty? Yes. Should you regularly clean your ductwork? No. Unlike dryer duct cleaning which should be regularly checked and cleaned, no independent objective organization recommends HVAC duct cleaning as an essential part of routine HVAC system maintenance. Duct cleaning isn't necessarily a bad idea, but the fact is that it's not necessary in most cases. When properly performed, duct cleaning can be useful in limited situations, such as if the ducts are filthy or infested with mice or other vermin. If you see evidence of significant visible mold growth in the ducts or on the mechanical components of the HVAC system that come in contact with air. that might be cause for cleaning. But cleaning normally dusty ducts provides no real value. Frightening “before” and “after” duct photos may make great discount coupon photos but chances are rare that your ducts are in bad shape. 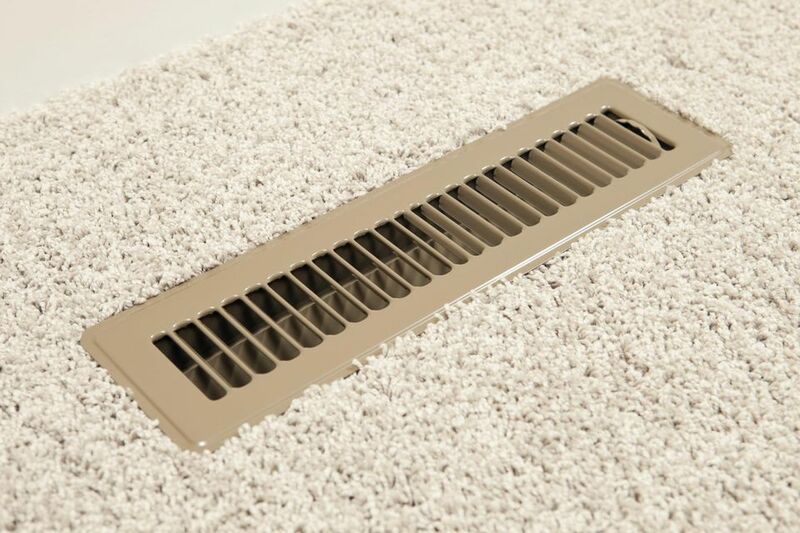 If your ducts are seriously filthy enough to require it to be cleaned, then you should clean the entire HVAC system (more on that later), not just the ducts themselves. Please understand that duct cleaning uses specialized tools to agitate and dislodge dirt in the ducts to make the dirt and other contaminants increasingly loose and airborne before they are vacuumed out. Sometimes the ducts are cut for tool access and needs to be carefully resealed. Then a powerful vacuum system is used to remove the loosened dirt and contaminants. If this is not done properly you can do more harm than good. For example, if the vacuum hose/containment system is not sealed tightly and is exhausting contaminants to the outside, or if a HEPA filtration system is not used in an interior vacuum system, you can wind up releasing dirt and contaminants into your home’s interior. As part of the duct cleaning process, your ducts may have service holes cut into it for tool or vacuum hose access that may not be properly sealed after use. Or, HVAC system components could be taken apart and damaged or not reinstalled properly, and so on. Start by selecting and using a qualified contractor. Duct and HVAC system cleaning that is performed by someone who is trained and certified by the National Air Duct Cleaning Association (NADCA)has the best chance of being done safely. According to NADCA, the major trade association for contractors doing air duct/HVAC system cleaning, its members need to have at least one certified Air Systems Cleaning Specialist (ASCS) on staff and they are responsible to clean and restore a customer’s HVAC system accordance with the association’s standards and guidelines. Of course, NADCA certification is no guarantee of a problem-free experience, but it does at least improve your chances. Part of the confusion surrounding duct cleaning services is that duct cleaning is often included as a part of an overall HVAC system cleaning. As a matter of fact, because the only time cleaning your ducts is required is when they are contaminated, it follows that if you need to clean the ducts, then you need to clean the entire HVAC system that comes in contact with the air moving through the ducts. That is the philosophy taken by NADCA. NADCA recommends duct cleaning as part of an overall HVAC system cleaning that includes cleaning and replacing the air filter, cleaning grilles and diffusers, checking drain pans and drain lines for proper drainage, checking the heat exchanger and cooling coils, grills, furnace air plenum, blower motor, etc. They provide a useful checklist for residential consumers that explains their recommended process in more detail. Clean main supply duct and branch distribution ducts. Seal all installation access panels in ducts (as needed for tool access) according to NADCA standards. Remove and visibly clean supply registers and return air grilles. Clean furnace supply air plenum and return air plenum. Remove, clean and reinstall blower motor; housing & assembly. Check humidifier media and drain pan. Clean evaporator coil, drain, and pan drain. Ensure cooling coil is visibly clean and drain pan is clean and draining properly. Replace air filter or wash permanent media air filter. Be prepared to pay around $500 to $1,000 for a professional duct/HVAC system cleaning service. It could be more or less depending on the location, size of your home, and scope of what is cleaned. It will usually take two technicians 3 to 5 hours to clean the ducts and the HVAC system. Problems emerge when duct cleaning is not performed properly. And not being performed properly often results from hiring someone who promises to give you a cheap $50 “whole house special” or makes a sales pitch based on broad generalized claims on the health benefits of duct cleaning. Some may even falsely claim to be certified by the Environmental Protection Agency (EPA), which the EPA does not provide, or they may say that the EPA recommends duct cleaning, which it again does not recommend. Be aware of what is referred to as “blow-and-go” salesmen who pose as “contractors” often found in mail-pack coupons. They usually accompany an offer to assess or clean your home’s ducts for a very cheap price, say $49.95 or even less. As they often work on commission, they will try high-pressure sales techniques to sell you on expensive add-on services (mold testing, etc) or other service upgrades. They may try to charge for duct restoration, branch duct cleaning, etc. Some may even falsely claim they found mold in your ducts. Complaints abound about some unscrupulous “blow-and-go” companies using air fragrances, false mold tests showing positive results, handheld dust-buster vacuums, simple drills with brushes, etc. The allure of a low price can be attractive, but do the math before you give in to temptation. Would two truly qualified service technicians with a truck and proper equipment service your ducts and HVAC system for 4 hours in exchange for $50? Unlikely. Duct cleaning is often an emotional sell. You want good air quality for you and your family, so cleaning the ducts in your home seems to make sense. Some marketing photos of dirty ducts can look pretty scary. But the reality is that ducts only needs to be cleaned in rare cases when there is serious contamination. In those cases, the entire HVAC system should be cleaned, not just the ducts. Duct cleaning is easy to do incorrectly, and that is where the risk lies. Hiring the wrong contractor can do more harm than good. When properly performed by a qualified technician, HVAC system cleaning, including duct cleaning, has not been shown to be detrimental. Again, though, that’s if it is done correctly and by a certified technician with the right equipment and training. Hygrometer - Do You Need One? Fixing Your Furnace Can be Easy! Which Should You Choose: Central Air or an AC Unit? Electric Wall Heater: Ticket to Warmth or Energy Vampire? Home Cooling: Window AC or a Ductless Mini-Split Cooling System?